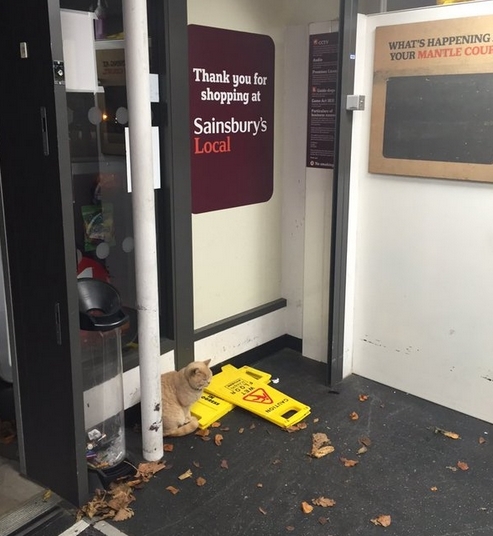 Staff and shoppers in a Sainsbury's in Brockley have been mystified and charmed by a cat who has made the shop his home. The cat, who is reportedly called Olly, was first spotted in November by a Twitter user who uploaded an image of the cat to the social network. 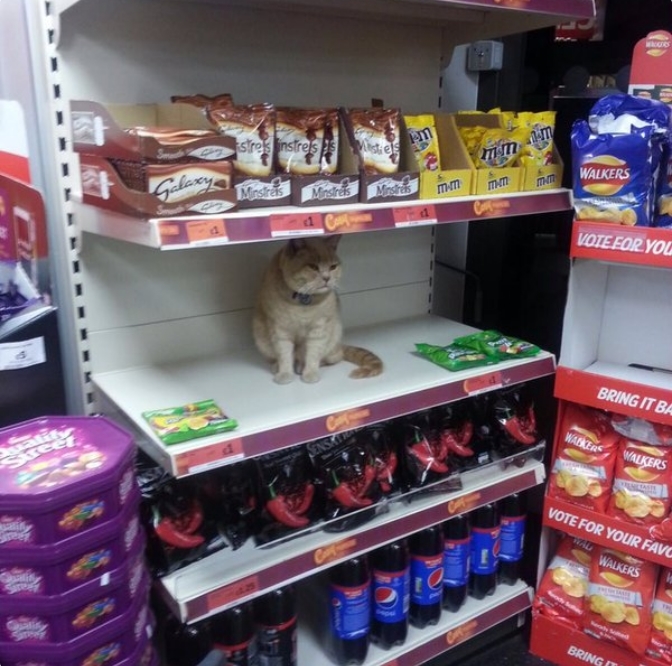 Apparently, staff tried to remove him, but he just kept sauntering back in. 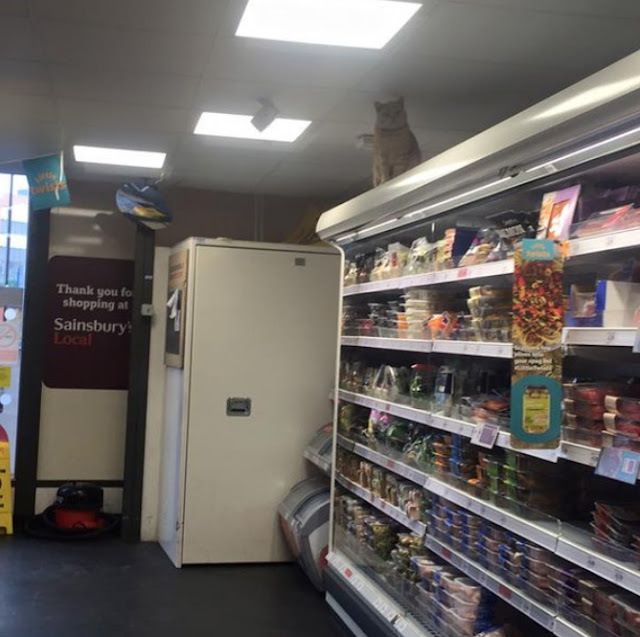 He then disappeared for a while - but has now returned to the shop and social media as a star. 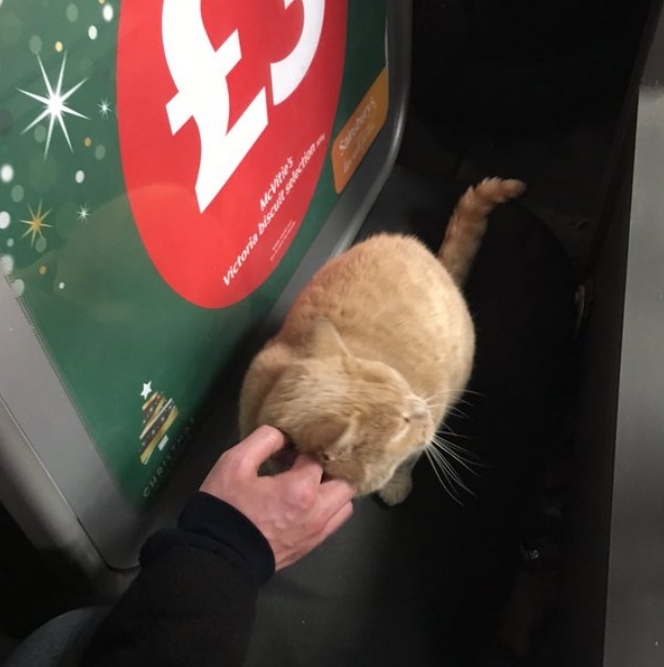 Residents of Brockley in the "I Love SE4" Facebook group have been referring to him as the "star of Brockley" and that we should "forget Grumpy Cat, because we have Brockley Cat". Olly the cat is apparently very friendly. One resident wrote on the group: "He was flat out on the mat yesterday by the door under the heated fans. Everyone was stopping to give him a tickle." 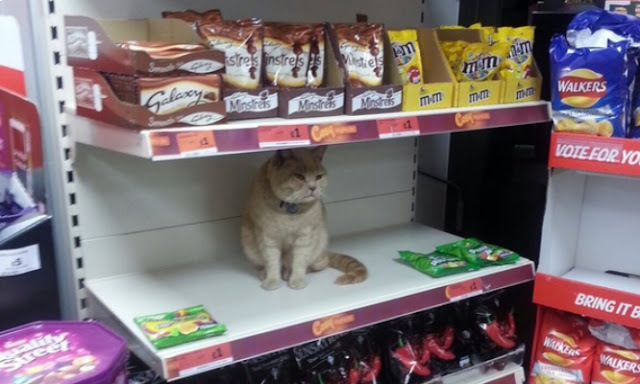 It appears he has been accepted as a regular customer, or perhaps staff member, of the shop. But everyone else just knows him as a local celebrity and the star of Brockley. 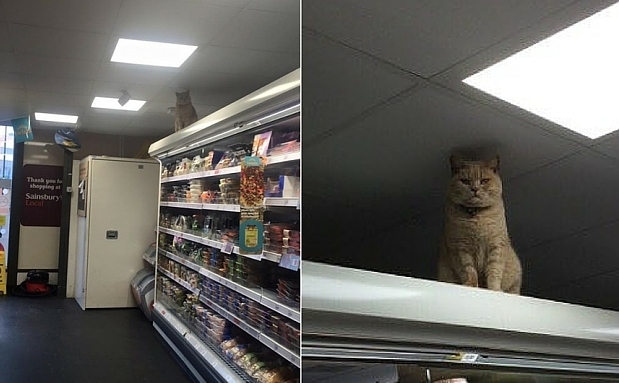 Responses to "Cat Refuses To Leave Supermarket No Matter How Many Times He's Kicked Out "
I bet they don't have a mouse problem! Love this story and I hope he lives there for a long, long time! I am surprised that some one has not complained about animals being around human food. Really surprised.